I spent a season and a half doing indoor cycle training at Cycle-U. The first day of class you fill out a document that talks about your short and long term fitness goals. Why am I taking the class? What do I hope to accomplish? Originally, I was planning a solo trip to Eastern Washington to visit Uncle Phil. Logistically, I'd be out on my own and ride about 350 miles, over two mountain passes, in about three days, from Arlington to Colville. I'm not likely to do this ride this year. Although this is something I've wanted to do for a few years, it takes more than physical stamina, it takes logistical preparation. I would have to work on a way to fly home, places to stay along the way, as well as supplies, etc. It takes ambition I don't really have. Not now. Bicycle Dreams, a documentary about the 3000 mile Race Across America (RAAM), is all about desire. Everyone's physically and mentally prepared. But are they capable of maintaining their desire to finish the race? The documentary shows for many riders, success is predicated by luck (one rider is hit by a car and killed), physiology (one rider gets pneumonia), mental fortitude, and physical ability. But the premise seems to be "desire conquers all." The point is, if the rider simply believes he (or she) can finish the race, then they will continue. If not, they will quit. Their support wagons provide not for just food and rest, but also the people in them constantly are telling their riders to not give up. To keep going. Riders weep and argue. And everyone starts to doubt their reason for doing the race. The race isn't about money, or really about placing. It's about starting and then finishing something. My desire to ride to Eastern Washington was supposed to be a bit about pride (in being physically capable), combined with a want to ride through that part of the state. It was supposed to be memorable; a good memory. It was maybe nostalgia for the days with my father, driving to see my Uncle. I'm not sure that this ride is a priority at this point. Or maybe I'm just not capable of following through. 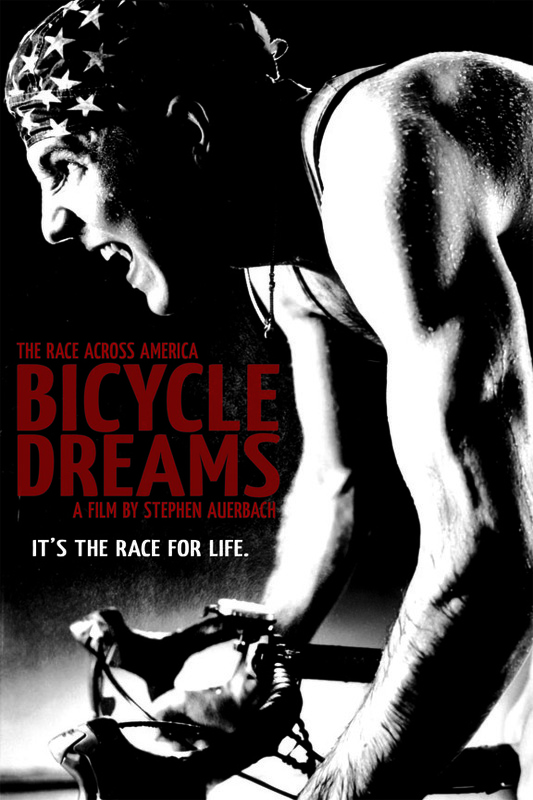 This entry was posted in Uncategorized and tagged bicycle dreams, documentary, dvd, raam. Bookmark the permalink.